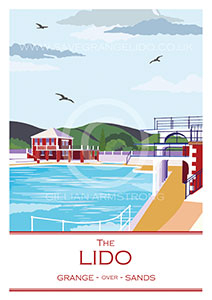 Grange Lido is a very rare Art Deco swimming pool in a spectacular position in South Lakes looking over Morecambe Bay. The Lido is a much loved community asset which has a place in the hearts of people locally and across the country. Since closure 25 years ago, it has been threatened with being filled in and desperately needs some TLC. We are progressing imaginative proposals to transform it into a vibrant community owned leisure facility with a restored 50m pool at its heart. Our plans can become reality with support from you, our community and Council. 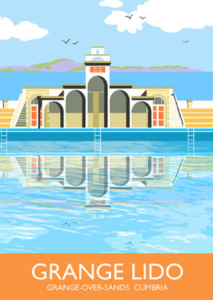 We’re raising funds to help us in the next stage of our work to Save Grange Lido. We’re doing well, but need your help to reach our target. Beautiful Art Deco Posters and Postcards are now available to buy. 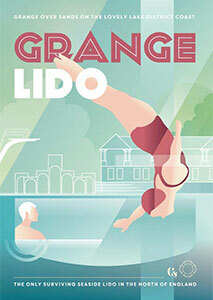 Click the links below and get yours now – all profits go to help Save Grange Lido. 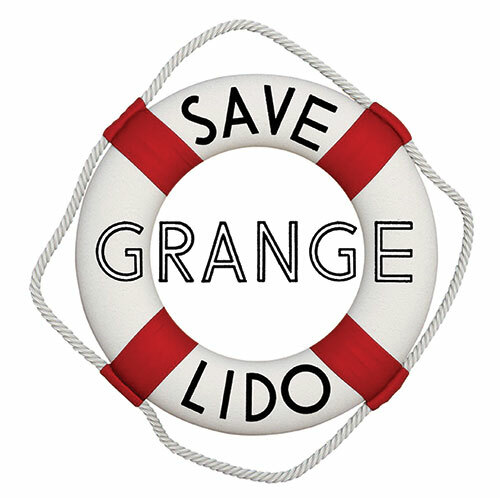 Please donate whatever you can now to help us bring Grange Lido back to life. A beautiful collection of deco posters for you to buy. 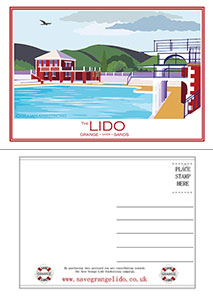 Every sale helps us to continue our work to hep Save Grange Lido. Check out the new Save Grange Lido shop. Bag yourself some great Lido merch and every item we sell helps in our efforts to save the Lido. The Save Grange Lido Business Plan is now available to download (file size 3mb). The winning design from our recent competition has now been replicated on a t-shirt that you can buy from our shop.